If you find your self losing your job for no reason, but you have documentation that leads you to believe that it was a wrongful termination then you need to reach out to our Wrongful Termination Attorney at Rager Law firm in Pasadena. There has been a lot of conversation around employment. There are two sets of ideas: right-to-work and an at-will rule. Right-to-work types are states who can let go of someone regardless of giving them an explanation. Typically states with this type of employment outlook do not believe in having strong unions. So, by implementing the right to work means that employees do not have to pay into unions which in turn weakens unions if they do not get new members. Moreover, this means fewer negotiations between workers and employers and less protection for employers. The right-to-work state may seem like a harsh reality, but it is not far from the at-will type. The at-will type of employment outlook is what we follow in California. California is an at-will employment state that can exercise the same action of letting someone go, but it is more protective than the right-to-work states. It still recognizes unions within the state, but companies have the right to provide their employees with at-will employment statements for their employees to sign. These statements suggest to the employees that they can be fired at any time, for any reason, without prior notice, and without any cause. This lets employees know that their employment is secured, but only as much as the company can employ them. The explanation of the at-will employment may sound harsh. How can one feel secure or confident in their job if they are told that they can be fired at any time? Feel secure that you have rights as an employee and your employer is just aware as you are. However, the best way to deal with a wrongful termination is to document, document, document. Just as an employer is required to document any evaluations, written warnings, or acts of punishment, you should be documenting how your job is treating you. You should document when you are not feeling treated correctly. You should document conversations both verbal and via electronic messaging. You should ask coworkers and past employers their perspectives on situations that may not feel right to you. You should document conversations surrounding any kind of warning or punishment. This is as much about your protection as well as your employer doing their job. 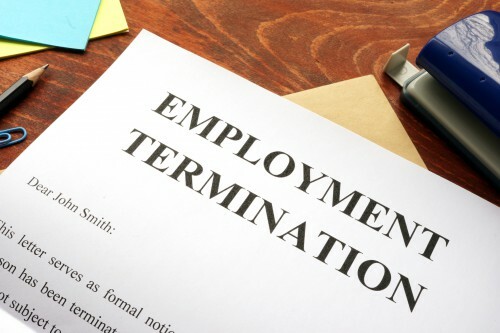 Those who have been wrongful terminated can typically call out discrimination of some kind, abuse of power, or incorrect use of hiring and firing procedure. If you find your self losing your job for no reason, but you have documentation that leads you to believe that it was a wrongful termination then you need to reach out to our wrongful termination attorney in Pasadena at Rager Law firm. Our team of legal professionals have the experience and resources to handle your case and give you peace of mind knowing that you are not wrong for feeling the injustice of your situation. Call 310-527-6994 or click here to start a conversation with our Pasadena Wrongful Termination Attorney today.